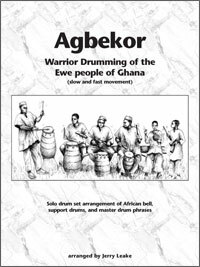 Agbekor Drum & Dance Society (8). Fri 6/3 $8 Amber Spyglass (12); The Milling Gowns (11); Sugar Snow (10); Watcher (9). Sat 6/4 $8 The Sprained Ankles (12); The Allstonians (11); Yesterday's Heroes (10); Chris Fullerton (9); Christopher Paul Spelling (8). Thu 6/9 $5 The Highway (11); Kuuluko (10); Smashy the Blues (8). Fri 6/10 $8 The Sift (12); Four Point Restraint (11); Eric French & Mr Hyde (10); Ted Wyman (9). Sat 6/11 $8 Riley Coyotes (12); Line of Girls (11); Somerset (9). Thu 6/16 $5 Giant Target (10); Parachuter (9); The End All Marathon (8). Fri 6/17 $8 Battle Green (x Jerry's Kids & x Gang Green) (12); Bomb Squad Larry (11); Melt (10); Emma Cera (9). Sat 6/18 $8 Ill Jack Daisy (11); The Balls (10); Happy Little Clouds (9). Thu 6/23 $5 Death Pesos (11); Strange Heroes (10); A Minor Apocalypse (9); Calamus (8). Fri 6/24 $8 Andiron (12); Cousin Johnny (11); The Ice Cream Trucks (10); Dressed to Kill (8). Thu 6/30 $5 Smooth Centipede (11); Meghan Keely (10); Matthew Evil (9); Max Butler (8). map and directions Bass players are strongly encouraged to use house amp -- Ampeg B-115. Club BoHo MySpace. We try to keep the calendar up-to-date, but it may not reflect recent booking changes. If in doubt, check with Mickey Bliss. Advance listing - All dates may not be confirmed - Check back for final schedule! Jacob Haller & the Running Commentaries (9).